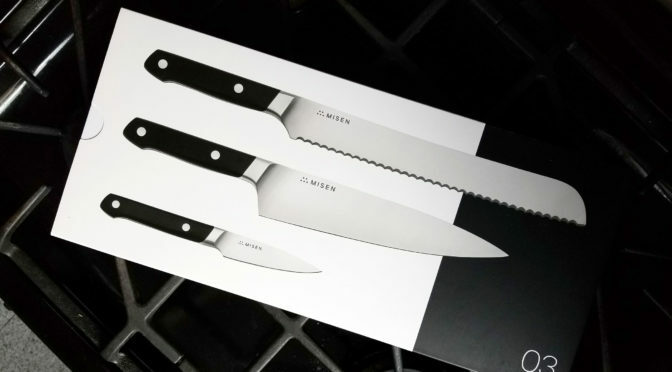 Misen sent me this really beautiful three blade set to try out here at the food lab. Here’s a short video of me using each one. I was particularly impressed with the bread knife. It went through the baguette on one pass – no sawing back and forth! 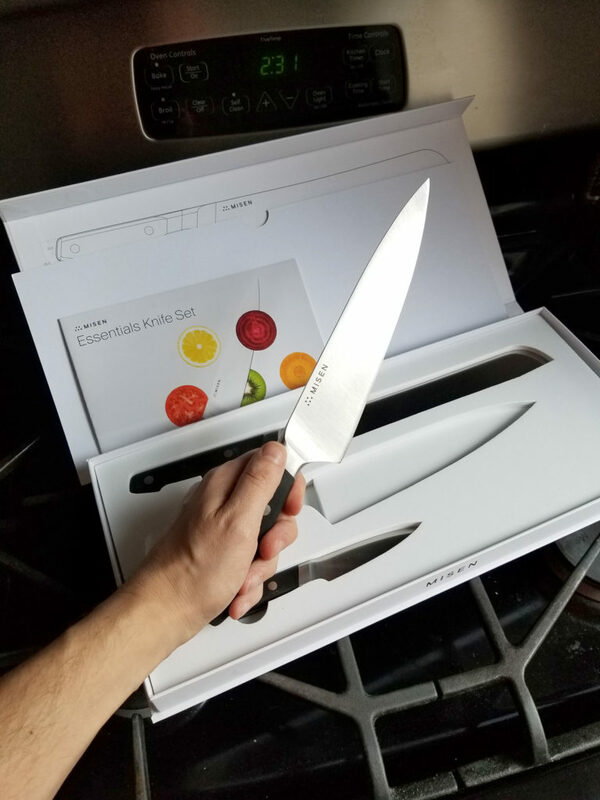 The blades are comfortable in my hands, and they have a nice weight to them. The handle colors are also available in grey and blue. Check them out HERE. 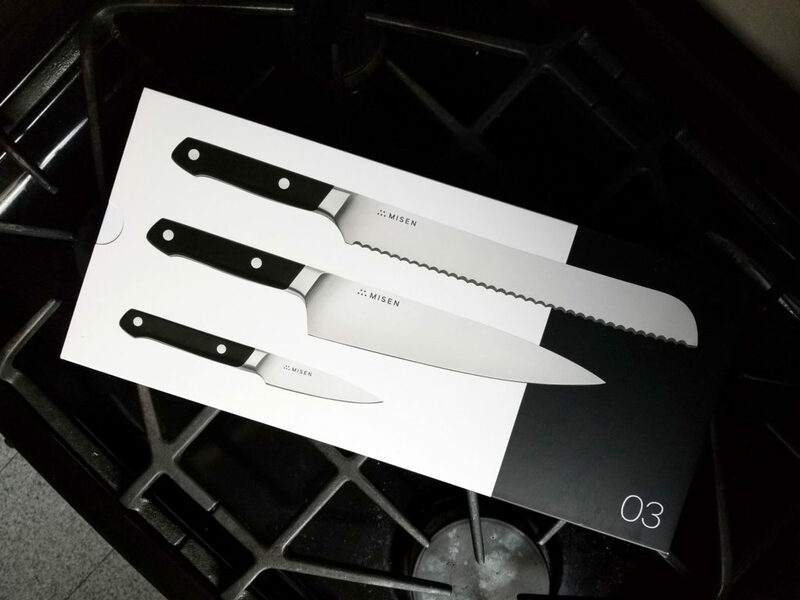 I definitely recommend there for the home cook. They are a great quality for a very fair price.